Have you ever had one of those days where you’ve felt super pessimistic and unmotivated? We did so we channeled all those feelings and got crafty. 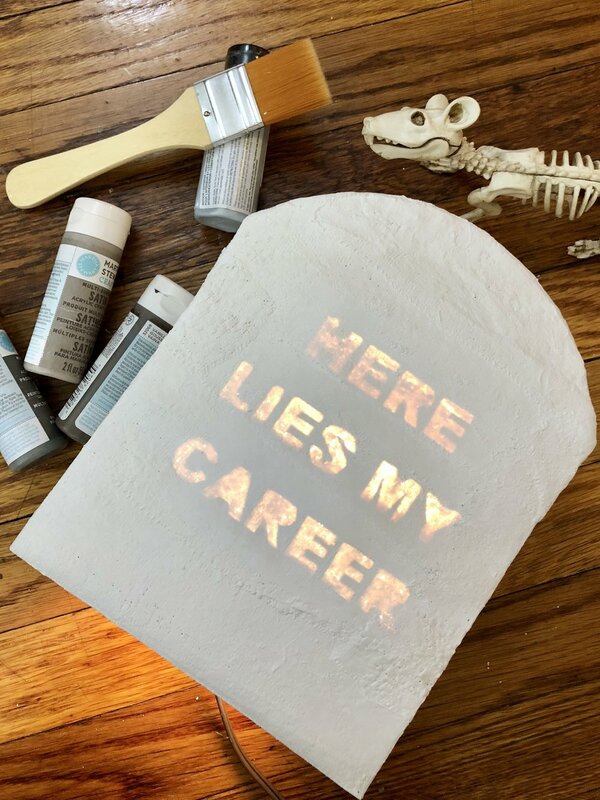 Ironically, Halloween crafts always get us out of those dark moods. Dennis had the brilliant idea to put those feelings on tombstones to lay them to rest! 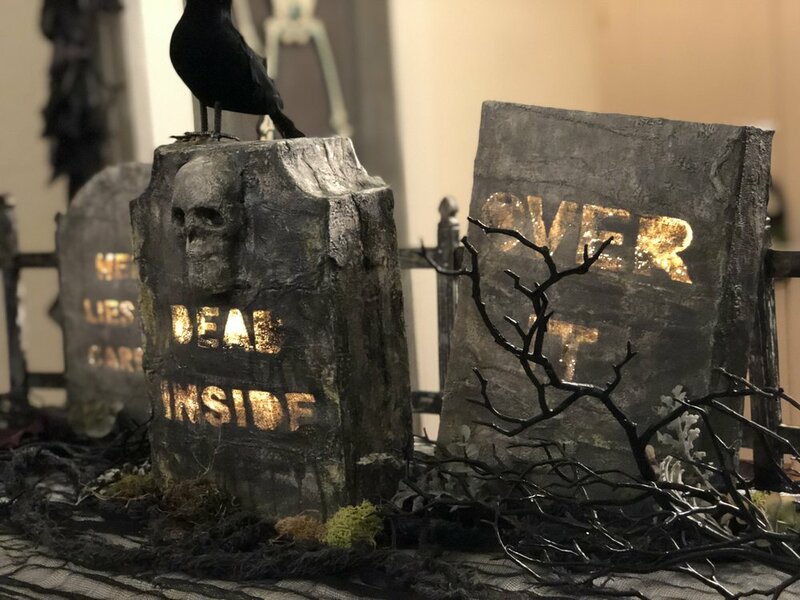 These tombstones are made out of cereal boxes, plaster bandage strips and paint. It’s a pretty simple process. Open up your cereal box. 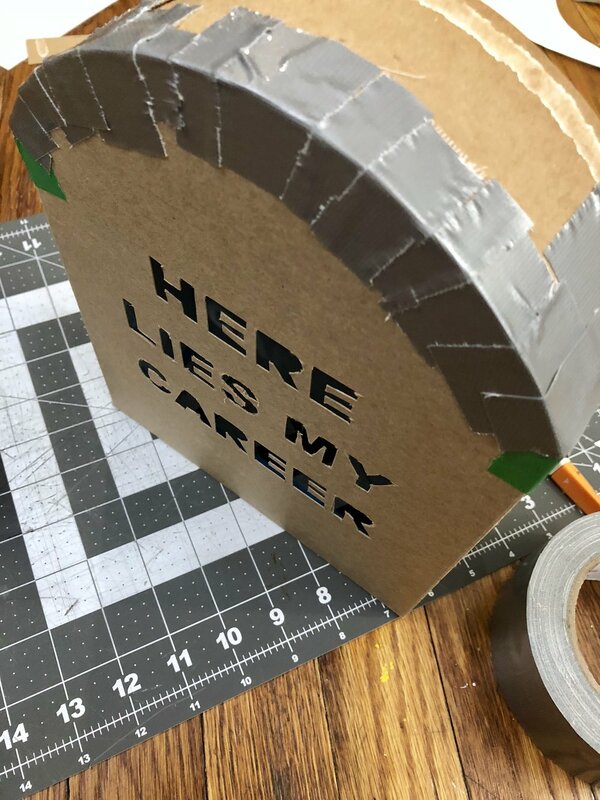 Cut out your saying, a hole in the back to put an LED light through, and any pieces of the box to help create a tombstoney shape. Tape the box back together and cover with bandage strips. Paint sloppily to make grungy! For tips and a detailed tutorial check out the video, we had a frightfully delightful time making it!